We document a large portion of ceilings that we work on, for future reference and marketing purposes. Every job will have a set of before pictures prior to our work starting, and a set of after pictures. The after pictures are not always of a completely finished living space. Some after pictures appear to have wall and furniture coverings in them. The reason for this, is that we leave the wall and furniture coverings intact, so that the painters, who will usually start painting after us, can use them. Such is also the case for light fixtures. In some after pictures, you may see light fixtures dangling or entirely removed. This is to allow the painters to come in and apply primer and paint to the ceilings after we have completed the task of smoothing the ceilings. 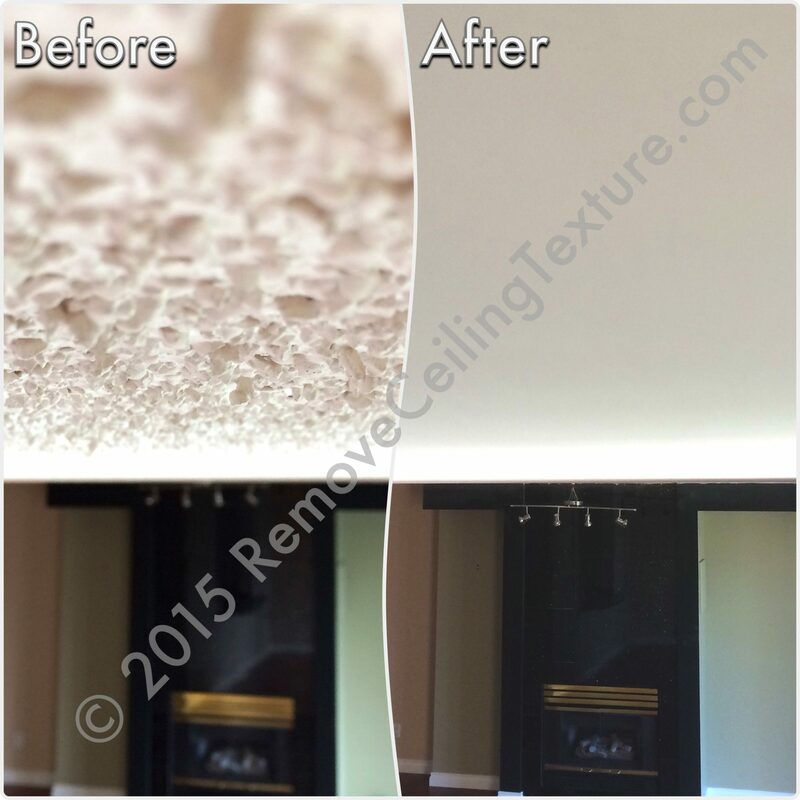 We can work around things like fire sprinklers when removing ceiling texture.